The following is the flow of my personal thoughts and words. Readers to use their own discretion. A sadhak friend from Pune sent a note the other day to share and it said "Stick to one Guru" which had interesting notes and i thought it should be shared with all since this topic is not just of today but even scriptures and great Masters have emphasized the importance of having one-pointedness in a path or Guru. This has been practiced since eons, even in those days of those eras that did not have thousands of paths and Gurus as it is now in the Kaliyuga. Today, the word Guru and the real meaning of the teacher is subject to various tests and challenges and also put at the mercy of those who play the role of a Guru out of different intentions and vested interests. Thus, in today's world everything is readily available, so also a Guru. My views about this are very strong when it comes to a Guru, who has to be the one who has walked a certain path, achieved success in establishing that divine contact and experienced first-hand the experience of being a liberated being, a fully self-realized person. This person, out of free will then chooses to educate the mass and also show others the same path that He walked on and successfully lived and established. It becomes easier now to share this knowledge to those who are struggling on the path to liberation. It also becomes easier now to guide aspirants who do not have to face all those challenges of experimentation with life to achieve spiritual success. But at the same time the Master is well aware of the challenges He would have to face in order to take up this arduous task. At the other end an aspirant, when triggered by the spark of his or her real self through some or the other experiences of human life, strives to ascend the human limitations and that is when the natural urge to uplift oneself happens. At this time, he or she looks out for help, either around (in the world) or above (God). When the time is right, nature responds to the call by presenting him or her with opportunities to meet their Guru and learn and proceed. The Guru-disciple bond begins. But, in these days, it is not so simple, especially when the world around is at the peak of negative clearances and thus surfaces also all kinds of good, bad and ugly. An aspirant is subject to all kinds of doubts, fear and insecurities on the path. Even those who are connected to their Gurus face these challenges because the ocean is very large and in this ocean is everything. The advancement of human evolution is such that anything and everything is available to them at their slightest wish. 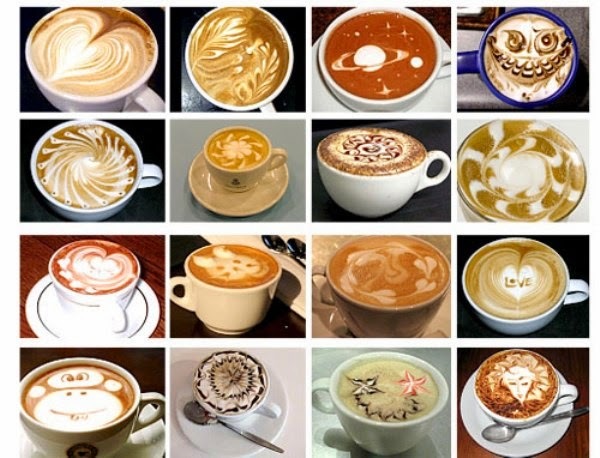 It is like you sit in a coffee house and have a variety of coffees listed before you. Everything is coffee. But the taste is different. In previous days coffee just was coffee and it tasted the same anywhere it was prepared. Today, there are variations. But it does not mean it is not coffee. It is coffee. If you enter the coffee house everytime and drink your favourite coffee, it is fine as it gives you contentment and satisfaction of that urge to drink coffee. But if you have the urge to keep tasting all kinds of coffee it will eventually turn out to be troublesome because if one coffee cannot satisfy you, none can satisfy because the mind will only seek more and more and more in the hope that one is better than the other. Many times in the process of tasting multiple coffees many find that the first one was better and return to taste it back once again. Then there might be a feeling that the third one was better. In the whole process one actually forgets the real coffee flavour and then what happens is confusion and a total distaste in the coffee itself. One might even end up blaming coffees or the process of making coffee or the coffee maker itself. Now, what has happened is that coffee was just coffee. Kaliyuga brought a coffee house. Even if all the coffee variety were genuine, they would seem good to those who had just the flavour of one as their favourite. Similarly, one has to one or the other day choose and settle with one Master and one path. All paths look good. All masters are divine and good, but it is important to follow one path or Guru for reasons so genuine that even the scriptures have stressed upon. There is a difference between a Deeksha Guru and a Sheeksha Guru. A sheeksha guru can be anyone in the multiple arenas of life. One can have multiple sheeksha gurus. A sheeksha guru can be a music guru, a dance guru, a martial arts guru, etc. They are Masters of their skill and they impart it as a teacher to their students. The Deeksha guru can be only one and is the Guru who guides the aspirant on the the final goal of self-realization and liberation. This Guru becomes the highest because He is unfolding the highest possibility and the truth of one taking this birth. Like one of Arjuna's sheeksha guru was Guru Dronacharya and his only one Deeksha Guru was Lord Krishna. This does not make any other Guru lesser or bad. All Gurus have walked a path and they have found their way in the best way they had worked upon for multiple lifetimes and worked hard to reach that place. All paths are NOT the same. The destination is same. All paths are called one only because they reach the same destination but all paths are NOT the same. An aspirant comes in contact with a Guru who is best suited to their nature and their karmic structures and it is by following those practices that will help one unwind their karmas and proceed. That is how nature helps a disciple and Guru come together, and this goes on even for lifetimes, as a carry forward, giving the seeker opportunities to make it - this time at least. Every time it hopes the work is done. But alas, the freedom of free will may not allow this. This is a period in Kaliyuga where everything happens at the touch of a button. Life has become too fast. Everything is modernized. Technology is at the mercy of humans, ready to respond at the touch of a button. Everything is quick for man has no time.... no time to stop and smell the roses. If he wishes a rose, he would google a rose image. If he wishes to pray at a temple he prefers to log on to the internet and perform a virtual puja. While technology has helped aspirants in ways beyond imagination, it has also put an aspirant in a gloom of doubt, despair, fear, indecisiveness, insecurity, panic, confusion and hopelessness because this same fast life has somewhere also prompted the seeker to hope and expect quick results, probably with the same click of buttons. The hope and expectations from Gurus also has gone to this extent. While sipping coffee, the eye is always unconsciously glued to other cups, hoping to try that flavour in the hope of bringing ultimate satisfaction. Sometimes it is even to the extent of taking a sip from every cup possible and ending up with the bad stomach. It is this modern rat race and the sense of urgency that is prompting all this. If this is understood, then one will simple calm down, pull back from all the race and competition and dive deep into what has to be done for the moment and simply do that. Everything happens eventually. Everything happens with time. Everything happens with self-effort first and then follows grace. No Guru can provide anyone liberation at the touch of a button or at the touch of the third-eye. Even great great evolved beings like Lord Rama, Lord Krishna had Gurus and it took time for them too to work under them. Even Lord Krishna had to learn from his Guru Maharishi Sandeepani and evolve. 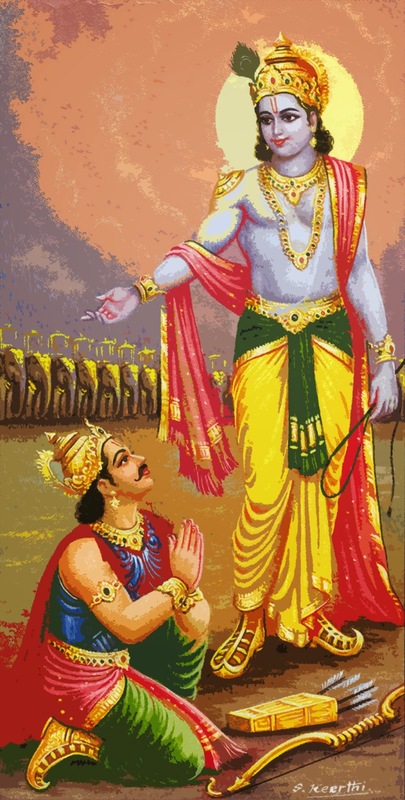 Even when Lord Krishna was a Guru to Arjuna, he never granted Arjuna moksha in day or moment. In fact, he never intervened into his disciple's freewill though He guided them at all times. 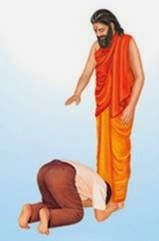 Gurus never intervene into their disciple's freewill but guide them as long as they open up and work upon the guidelines and teachings offered to them. The guidelines, teachings and practices that every master set up is itself an example that liberation or total transformation does not happen in a day. It took these Masters also to practice and master these practices in their life. Of course, there are Gurus from time immemorial who may have not had a Guru in their current life or have achieved a lot in their very early years, but it should be known clearly that these are rare exceptions, who have had Gurus in their past lives and who have already worked a lot in their past lives and who at the final stage of their evolution take human births in close perfection to that state of being of perfection. Hence, what i have even seen in the past 16 years of spiritual struggle, i wish to share with those who seem to be confused or unknowingly wary of why is it there is no speedy progress inspite of 'doing' everything. This 'doing everything' with everything possible available in today's world is what is the cause of this feeling. Also, the progress will begin happening when the teachings are followed in totality without any contamination through internal or external perception. A good amount of self work is certainly required. Guru's grace intensifies that self-work towards progress and the goal. i have seen that the Guru doesn't mind who is with him and who is not for He is beyond all that. But for a seeker to benefit understanding these little things can go a long way to help one's own sadhna. Divine Love and Light. Would like to add here the note that was sent by the sadhak to share. These are the words of a great saint of yester-years, Swami Sivananda of Rishikesh. Do not dig shallow pits here and there for getting water. The pits will dry up soon. Dig a very deep pit in one place. Centralize all your efforts here. You will get good water that can supply you throughout the year. Even so, try to imbibe thoroughly the spiritual teachings from one preceptor alone. Drink deep from one man. Sit at his feet for some years. There is no use of wandering from one man to another man, out of curiosity, losing faith in a short time. Follow the spiritual instructions of one man only. If you go to several people and follow the instructions of many persons, you will be bewildered. You will be in a dilemma. From a doctor, you get a prescription. From two doctors, you get a consultation. From three doctors, you get your own cremation. Even so, if you have many Gurus, you will be bewildered. You will be at a loss to know what to do. One guru will tell you: "Do Soham Japa." Another will tell you: "Do Japa of Shri Ram." A third Guru will tell you: "Hear mystic sounds." You will be puzzled. Stick to one Guru and follow his instructions.